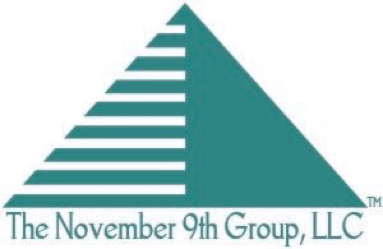 The November 9th GroupTM is a network of trusted professionals. This diverse group is linked through CEO, Rip Kirby. Rip is a research geologist, a member of the National Academy of Inventors, and business development consultant. A retired USAF Lieutenant Colonel, Rip has multiple college degrees with a wide variety of skill sets. 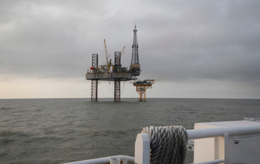 Currently, his main focus is oil spill remediation and other petroleum hydrocarbon contamination clean up methods. He is also a provider of smart phone reporting applications as well as the private servers needed for completely secure data exchanges. See the FAQ Page for more details. The group includes experts in business planning, contract law, entertainer representation, business security (all retired FBI), anti/counter-terrorism experts (retired special ops military), medical malpractice insurance (experts on both sides, doctors and lawyers), courtroom presentation, food service industry (especially commercial equipment, retail specialty seafood markets and upscale specialty restaurants including franchises), construction project permitting, commercial and residential construction management, advertising and promotion...the list is too long to continue in this section. If you have any business problem that needs a solution, we can put you in touch with an honest and reputable expert. The package mailing and delivery address is 913 Beal Parkway NW, Suite A-149, Fort Walton Beach, FL 32547. Rip's email address is rip@nov9thgroup.com. The office phone is 850-862-7134. From sand dune designs to offshore oil discharge solutions, The November 9th Group provides problem solving experts in geoscience, e-commerce security designs, and data gathering apps to name a few of our service areas.